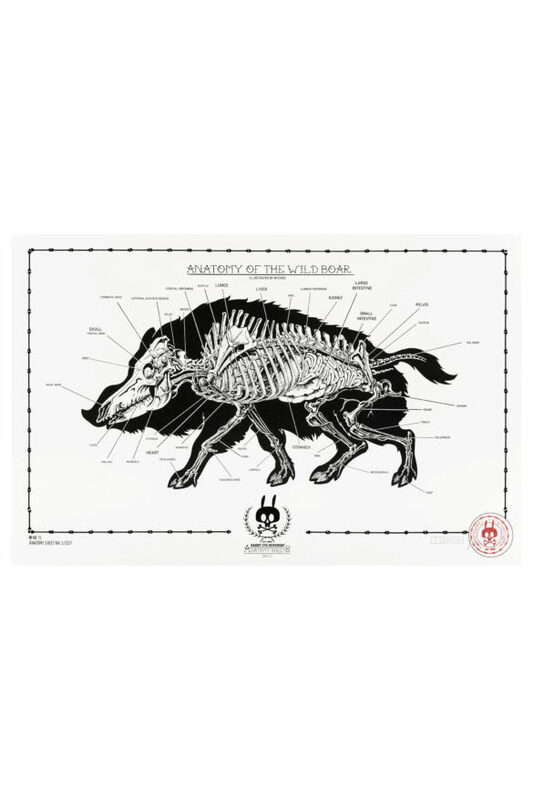 THE HUMAN SKELETON - Anatomy Sheet No.1 - Rabbit Eye Movement Inc. 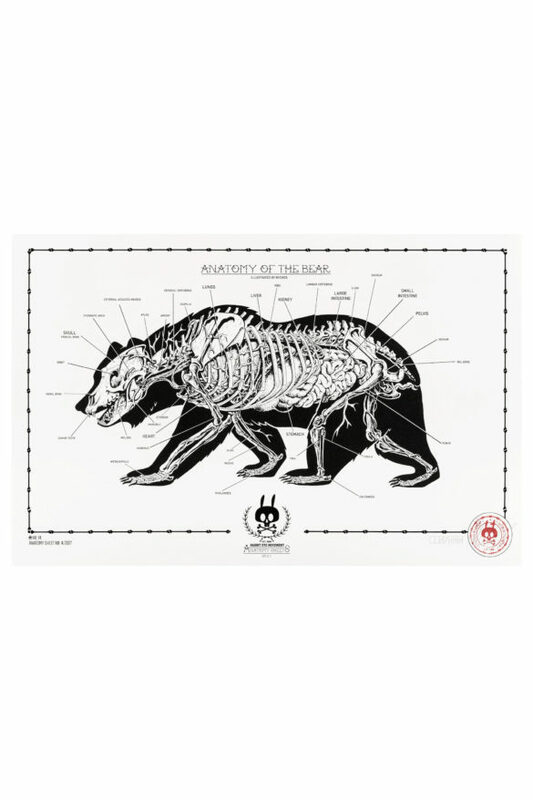 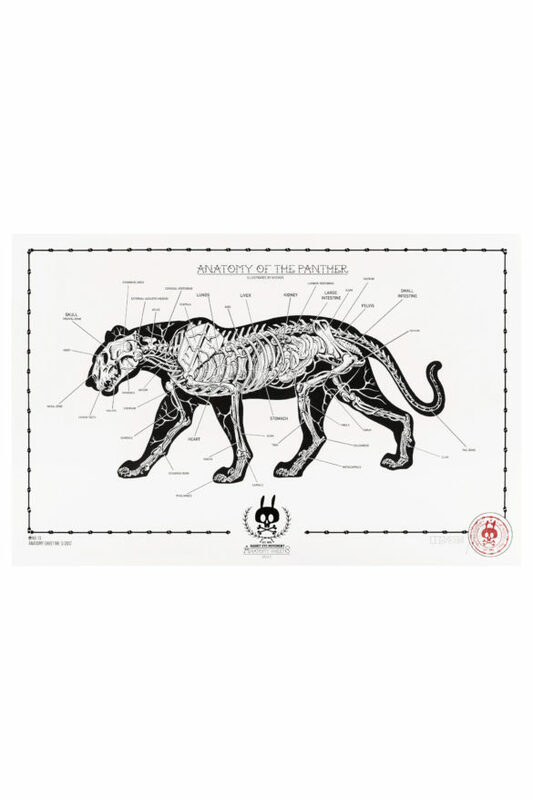 The REM „Anatomy Sheets“ is a series of 10 black and white limited edition screen prints. 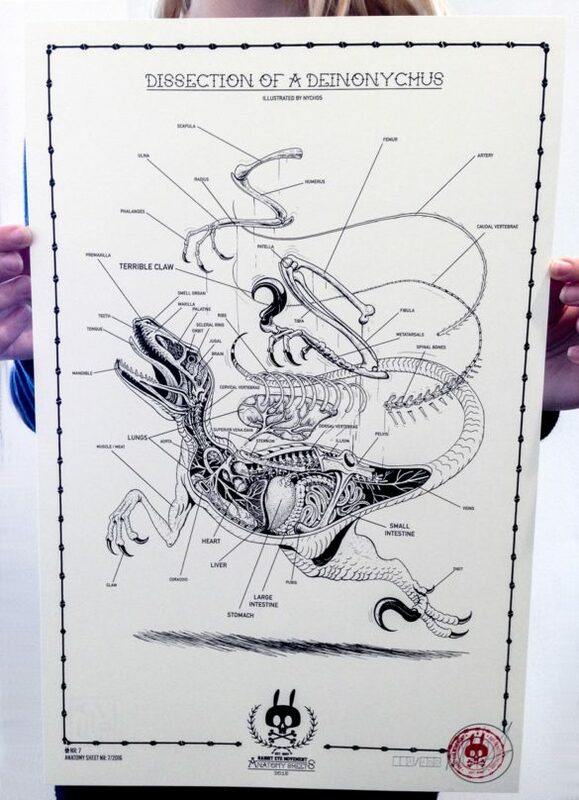 All together, the 10 sheets tell the story behind the Rabbit, the Raptor and the Human Body in Nychos‘ art work. 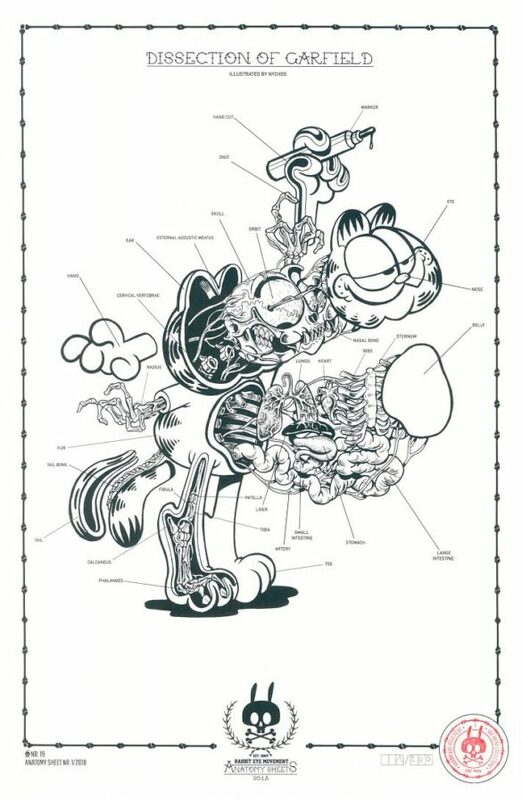 In addition, they give some insider‘s knowledge (both, serious and not-so-serious) about the skeletal structures of these main characters. 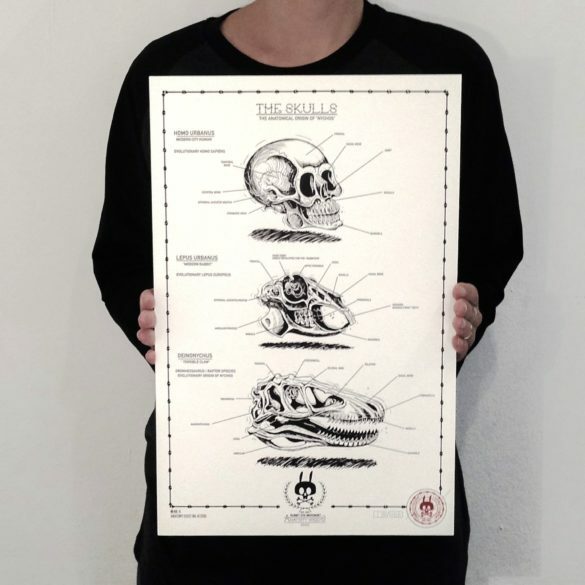 Every month we are going to continue the story with releasing the next print of the series, starting with the very first sheet entitled The Human Skeleton.